On a really hot day, the freezer comes into its own. It doesn't matter whether your beverages are alcohol based or alcohol free, pop your drink of choice into the freezer pre-departure. 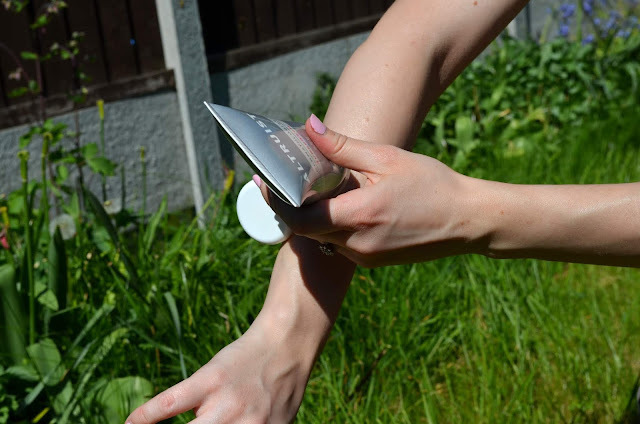 It'll melt gradually en route to your picnic spot, whilst at the same time keeping the rest of your food chilled. 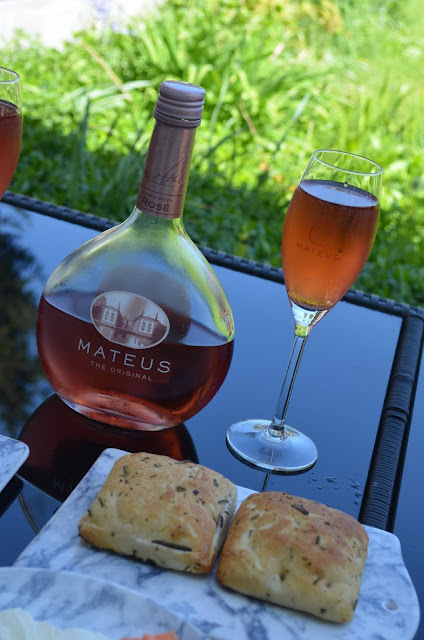 I love a glass of rosé on a hot summer's day and I find that Mateus always really hits the spot. This Portuguese wine is not sickly sweet (unlike some other rosés I've tried) and I find the taste very similar to that of a light red wine. 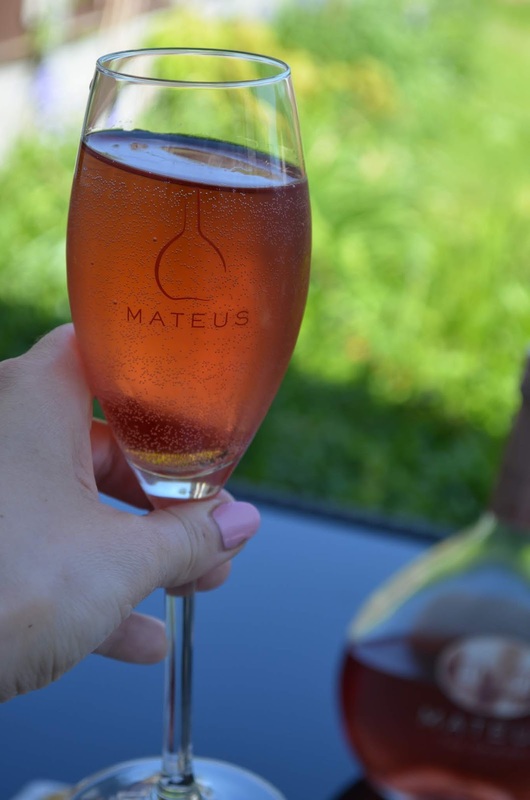 The reason for this could be through the different way in which they make this particular rosé (they use similar techniques to those used in white wine making, but by prolonging contact between the must and skins, it acquires its distinct pink colour). I love how unique and instantly recognizable the bottle is when you spot it in the supermarket. Did you know that its unusual shape is inspired by the flasks used by soldiers in World War 1? 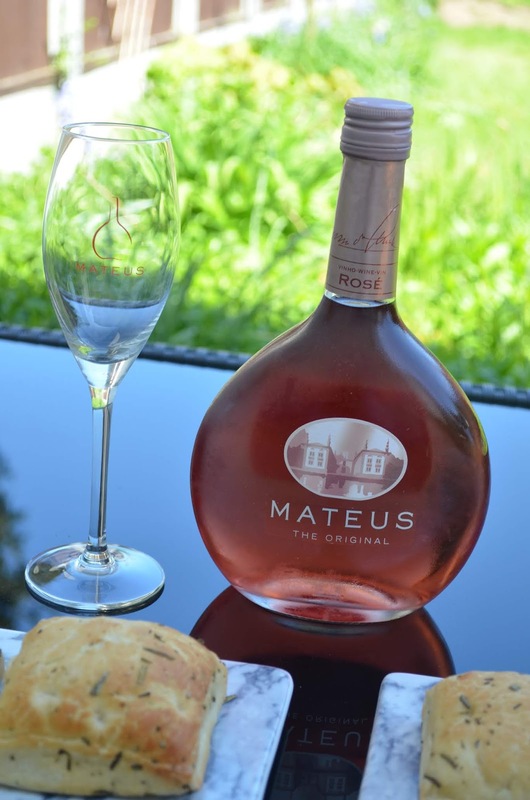 So if you are more of a red wine drinker and aren't usually into rosé, Mateus could be the one for you! We'd all love to have a picnic on a beautifully sunny day, but sadly the sun is a rather shy little scamp. If it rains or is cold outside, make it work. For the latter, pack soup and hot drinks into a thermos. If it rains and the ground is all soggy, sitting on the grass is not the one. Recent rainfall crushed my notion of a romantic picnic sitting on a picnic blanket on the grass. So instead we relocated the party to my dining table and chairs set (a wedding gift from my sisters). 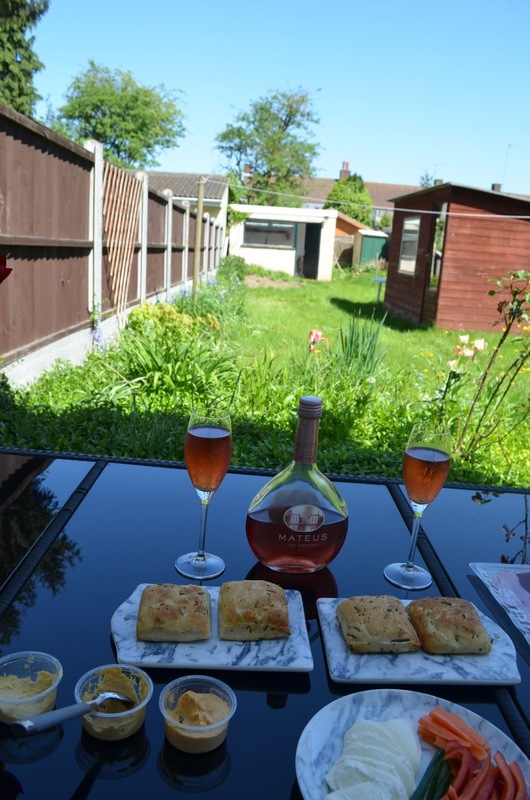 Not so much a picnic in the traditional sense... but still alfresco dining. It still counts, right? I could have easily filled this feature with affiliate links on the perfect picnic accessories. 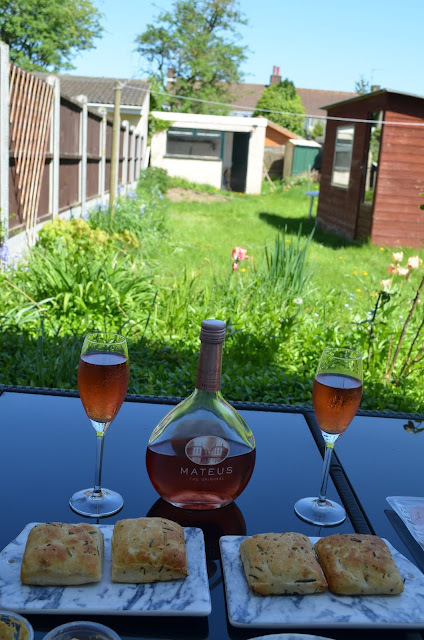 However I am not going to coax you into buying a £70 picnic basket because it's romantic and Instagram pretty. The reality is that as lovely as wicker baskets are, they just aren't practical. Ok, let me elaborate. They are practical in the sense that they are a storage facility and can hold your crockery and nibbles rather than you having to resort to using plastic bags (I try to avoid these where possible). However have you ever tried going out out on a long walk, scoping out the perfect picnic spot with a wicker basket handle on your wrist? It pinches. It leaves a rather fetching cross stitch pattern on your skin. It's fine to carry initially. You feel all whimsical like Red Riding Hood going into the woods to deliver whatever it was to her Grandma. But if you have a fair distance to go (which FYI is where the best picnic spots are), or if you are going to be walking around all day with said basket, don't do this to yourself. I can't justify spending all that money on something that would quite honestly be a bit of a faff to carry around. If you are venturing further afield, how about a cool bag? Considerately cheaper, easier to carry, and usually insulated well for hot or cold foods (something wicker baskets are less good for). They may not be as aesthetically pleasing as the traditional picnic basket, but nowadays there are some lovely designs out there. My point being: don't feel the need to go out and buy ALL THE PRETTY THINGS for a picnic. Food is an inevitable cost (whether you buy it or make things yourself), but don't feel you have to splash out on a fancy blanket, basket and crockery for the 'gram. Screw Instagram. Picnics are all about the finger food. Avoid gigantic things (oh er), crumbly things or messy things. Think bite-sized. If you're organised (i.e. not me), making as much of it as possible yourself will help save on costs. 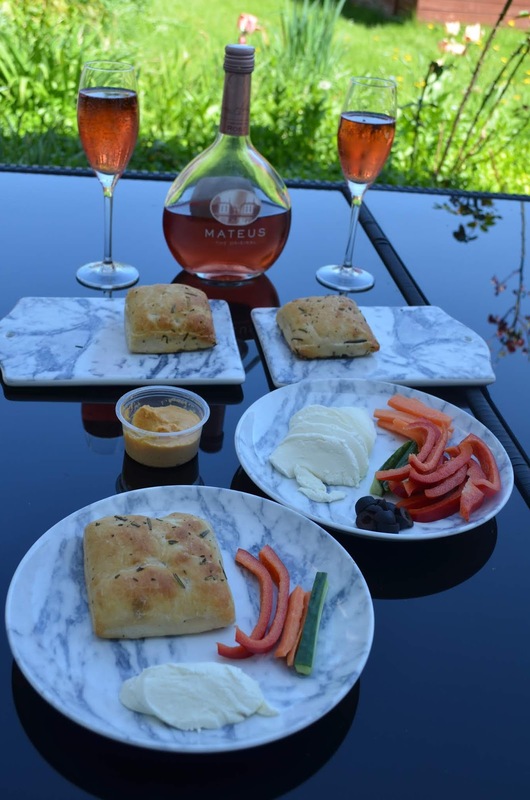 In hotter weather I gravitate towards nibbles and dips. Hummus is one of my favourite things. I picked up x3 varieties (standard hummus, red pepper and lemon & coriander) and served with sliced peppers, cucumber and carrot sticks. And since having a wine picnic without bread and cheese would be criminal, I also picked up some rosemary focaccia and mozzarella. I love Mediterranean flavours so paired the mozzarella with olives and also some cured meats like chorizo and prosciutto - the latter of which goes beautifully with a rosé like Mateus. Pretty sure I've already touched on this with my cool bag comment above and also point 1.... but do keep any perishable goods as cool as possible and protected from the heat. Particularly things like meat, fish or dairy which can turn pretty quickly. Eat these sorts of things as soon as possible once you've reached your destination. But until you get there, wrap them well and nestle in a cool bag between ice packs and pre-frozen drinks for good longevity. Need I say more? Napkins are great for any spillages, but there is nothing worse than wiping your hands and still feeling a bit sticky and urgh afterwards. Which is something anti bac can help with. It cleans, it protects against germs, and it usually smells pretty damn nice too. I had a watermelon one once, so I could eat watermelon and then clean up my sticky mitts after (which for the record still smelt like watermelon, but hey, watermelon is pretty nice as smells go). Picnic or no picnic, I always carry anti bac around with me. Altruist is running a #howmuchisenough awareness campaign to encourage people to use suncream more and help reduce skin cancer, which I really wanted to get behind. Alarmingly research from Cancer Research UK paints a horrifying picture of how skin cancer has doubled since the early 1990s and further studies have shown how people are applying less than half the sunscreen advised (or sometimes none at all! ), meaning that skin cancer is on the way to becoming one of the prevalent forms of cancer. Sunscreen can be expensive and I have been guilty in the past of using it sparingly or at times, not at all. 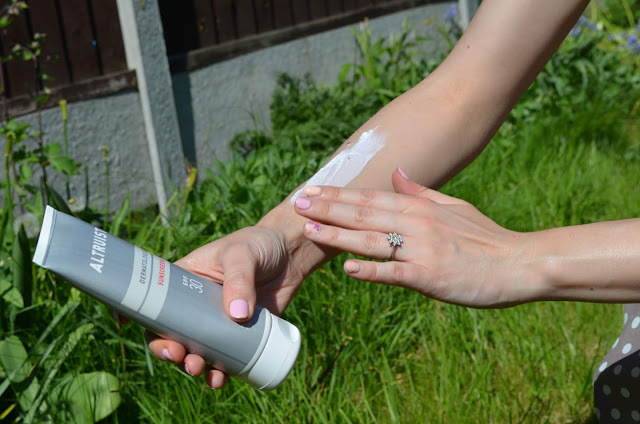 Altruist's founders wanted to produce effective UV protection for the lowest possible price so that everyone can afford to apply the correct amount of sun protection and be safe. 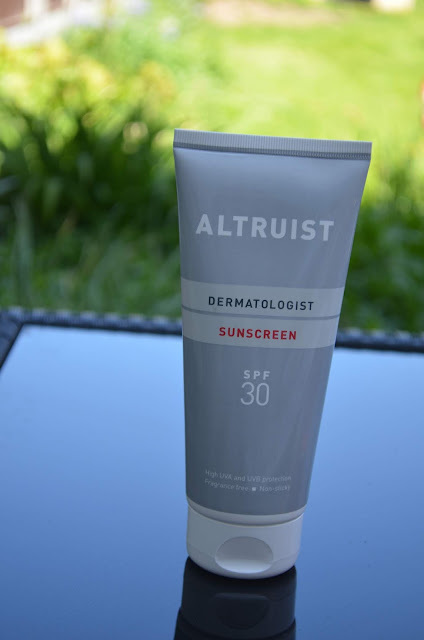 The Altruist formula contains micronized titanium dioxide (which offers UVA protection that goes beyond the EU standard) and Tinosorb A2B (apparently the most advanced sun protection ingredient of the moment, offering more protection than the usual UV spectrum). What I found interesting was that reportedly sunscreens sell for close to £10 -£15 per 200ml which results in people applying less and having a ‘make it last’ mentality. I wanted to share Altruist's guide to the suggested amount of sunscreen to use. I was shocked by the amount needed for the body as it sounded little, but the emphasis here is that with quality sunscreen brands like Altruist, you don't always need as much. Know this: I have sensitive skin which reacts to EVERYTHING. 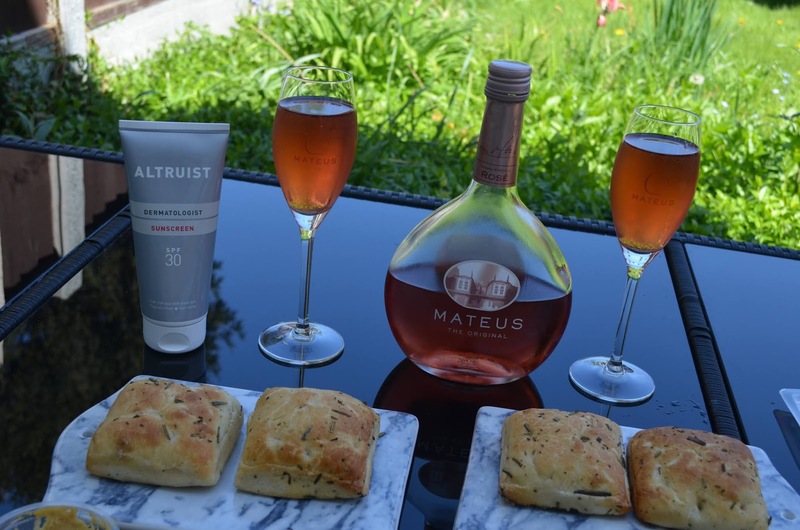 The real appeal of Altruist for me was that their products are developed for sensitive skin and are hypoallergenic and perfume and paraben free. I would describe application as like that of a moisturizer. It glides on super smoothly, absorbs quickly and is non-sticky. It's also water resistant which is another big fat tick as this means this is something I can take on holiday with me and use in the pool. 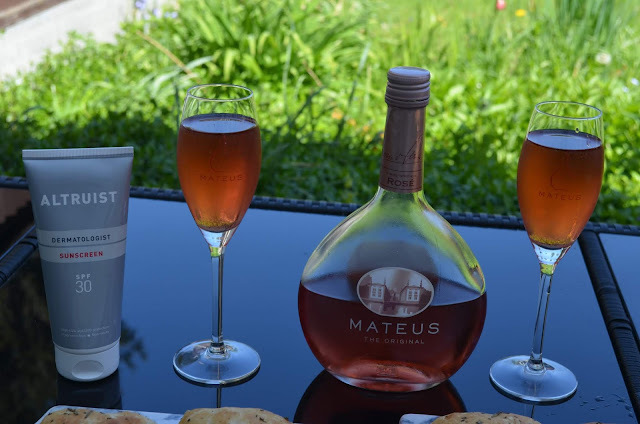 Mateus are at The Big Feastival in the Cotswolds this summer and I can see why - it's the epitome of the perfect summer drink! 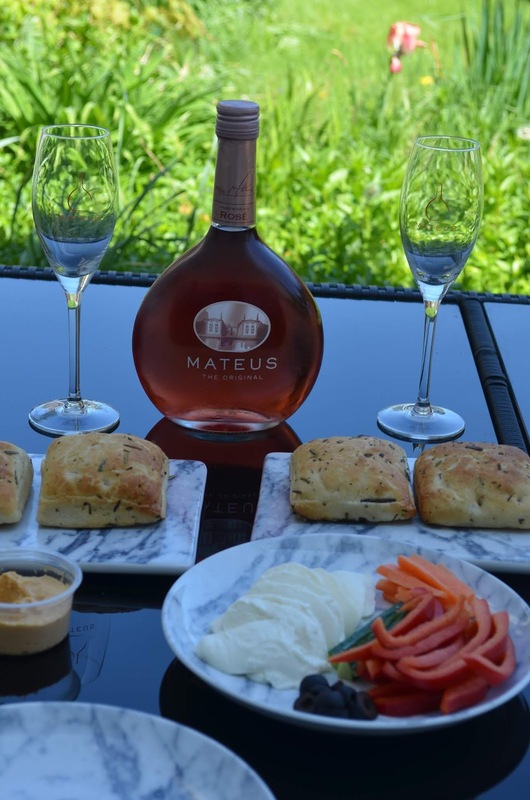 Taking place between 24th - 26th August, there will be three days of Mateus Rosé Accoustic Picnics where the wine will be accompanied by Mediterranean food delights and feel good summer music. 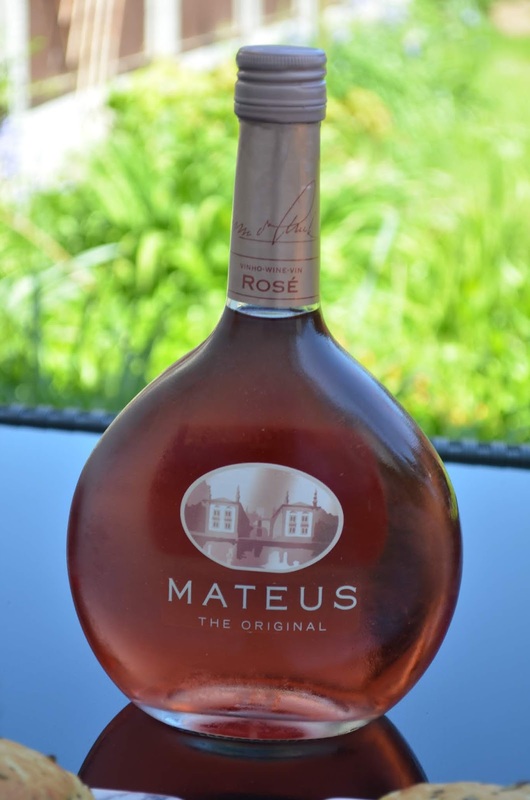 Fun fact: Mateus Rosé was a favourite of Jimi Hendrix so it's only fitting that Mateus should be at a music festival! And do look Altruist up on Amazon here. As well spreading awareness to try and help prevent further diagnosis of skin cancer, proceeds from each bottle sold are donated to the charity Under the Same Sun who work to protect children in Africa suffering from Albinism. So as well protecting yourself, you could be helping to protect others which I thought was a really lovely idea! Whether you picnic or not, remember to take care of yourselves this summer!